SAFETY was in the spotlight at Dandenong Railway Station on Tuesday 20 October. The Greater Dandenong Safe City Day featured healthy snacks from Dandenong Market chef Russell Bald and advice from local police. The Greater Dandenong Council event doubled as the launch for its Safe and Harmonious Greater Dandenong: A Community Safety Plan for Greater Dandenong 2015-2022. 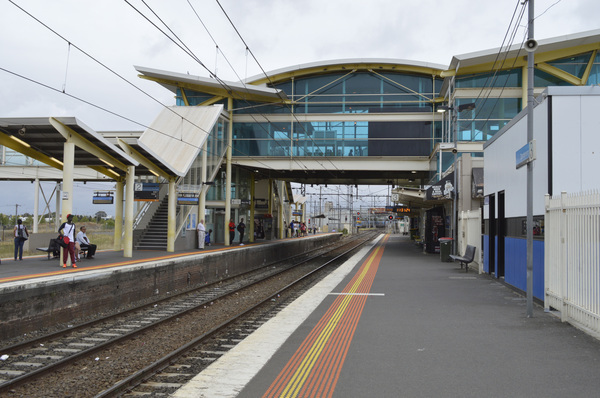 The plan will build on achievements at Dandenong Railway Station from the previous Community Safety Plan (2010-2014) which included new CCTV systems, PSOs, improved cleanliness, maintenance and staffing, a plaza opposite the station and Halpin Way, and a redeveloped bus interchange and taxi rank. Mayor Sean O’Reilly said a safe community meant everyone who lived, worked, travelled, played and visited could do so without risk to their health and wellbeing. “A safe community is also one that’s based on co-operation, respect, partnership and pride,” he said. The plan’s six key priorities are supporting diversity and promoting harmony, preventing family violence, creating safer public places, safety for road users, pedestrians and commuters, addressing alcohol and other drugs harms, and emerging technology and safety. “These priorities are the foundations of a plan that will take Greater Dandenong into a future that is more secure, healthy and strong,” Cr O’Reilly said. He said addressing these priorities would involve partnerships, co-operation and connections, designing public spaces to improve safety, a community development approach to community safety and promoting community safety approaches and initiatives. “We are not oblivious to the challenges – which means we are equally committed to identifying and addressing the safety priorities to ensure that our rich and diverse community continues to feel safe, respected and resilient,” he said.